It is a truism that as the Syrian civil war has progressed, factions of a hardline Islamist inclination – most notably the Al Qaeda affiliates Jabhat Al Nusra (JN) and the Islamic State of Iraq and Syria (ISIS) – have come to the forefront. This naturally gives rise to the question of what can be done to counter the rise of extremists? 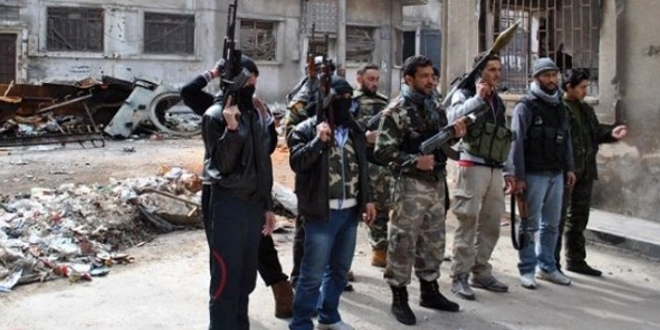 One suggestion put forward by Hussein Ibish in The National last week is to arm factions under the banner of the Free Syrian Army (FSA) to create an Iraq-style Sahwa movement against Al Qaeda affiliates in Syria. However, many of those advocating this approach rightly tell us that Syria is not Iraq. It is true that the very beginnings of the Sahwa movement in Iraq were rooted in disillusionment with Al Qaeda brutality, but the main factor that caused it to become a viable ally for the coalition forces and the Iraqi government is the fact that from 2007 onwards, large numbers of Sunni insurgents realised that they were losing the war, which had been focused on a decisive “Battle for Baghdad” that saw most of the mixed neighbourhoods ethnically cleansed of Sunni Arabs. Survival therefore depended on a willingness to cooperate against Al Qaeda, and it is fear of what could happen to Sunnis in another sectarian civil war that helps maintain Sahwa militias across Sunni areas of Iraq despite marginalisation by the central government. The situation in Syria is not at all analogous. There is no decisive battle being played out over a single city. Instead, Syria is continually fragmenting into smaller shards, as the number of different militias has multiplied. The concept of an FSA Sahwa is based on posing a strict dichotomy between FSA and JN/ISIS that does not actually exist and is primarily rooted in propaganda from the circles of the western-backed rebel Salim Idriss and his Supreme Military Command (SMC). The question of whether a battalion by the banner of FSA works with JN/ISIS goes beyond simple differences in ideology, and varies from locality to locality. A good example is the recent fall of Mannagh airbase in Aleppo Governorate to rebels. Analysts have disputed which battalion was the main actor, though the fact that jihadi media circles have released photos of the ISIS banner flying high over the main tower would suggest it played the decisive role. In any event, the more important observation to draw is that ISIS worked with a number of groups under the banner of the FSA, including the FSA Military Council of Aleppo. Later in his piece, Ibish argues that the continuing conflict between Kurdish forces and mujahideen illustrates “how fluid and dynamic Syrian realities are”. Indeed, but if it is his hope to arm factions deemed more moderate to take on ISIS/JN, then the Kurdish dynamic has pushed the trend somewhat the opposite way. For the conflict has actually drawn some FSA battalions to take ISIS/JN’s side against the PYD/PKK Kurdish forces. For example, at the beginning of this month a number of battalions in rural northern Aleppo province issued a joint statement against the PKK, denouncing it as a regime agent. The battalions included ISIS and some under the banner of the FSA, like Liwa Al Tawheed. More dubious is Ibish’s idea that members of the Salafist Syrian Islamic Front (SIF) could be won over as allies. Of course Ibish is right that not all SIF fighters are necessarily hardline ideologues, but there is a risk of downplaying the ideological component of the SIF’s outlook. While it is common to refer to the SIF as “Salafi nationalist”, the reality is that the boundaries of nationalism/transnationalism are blurred in SIF thought at best. This is most apparent in statements by SIF battalions that talk about the Ummah and the notion of artificial borders imposed on it. As a result of their ideological bent, SIF battalions as a rule never side with non-Islamists against JN or ISIS. This has been apparent in the SIF groups coordinating with JN/ISIS in Hasakah and Raqqa provinces against Kurdish forces, and in Raqqa where Ahrar ash-Sham supporters have rallied with JN/ISIS backers in light of sit-in demonstrations held by civil activists to protest kidnappings. In short, it does not make sense at this stage to talk of arming more moderate factions to create a Sahwa movement against Al Qaeda forces in Syria. The dynamics at work in the country are far too complex for analogies with Iraq. If the goal is to counter extremist influence, then there needs to be a better understanding among analysts and policymakers of why Al Qaeda affiliates have gained influence and been able to appeal to locals. While there is understanding of JN’s outreach, I have come across too many pundits who seem mystified by ISIS’ expansion in Syria. Since ISIS contains a large number of foreign jihadists, it is often assumed that they are incapable of winning local support. On the contrary, pro-ISIS media output shows that it is actively reaching out to locals. This has included days of fun and games in conjunction with da’wah meetings in the suburbs of Aleppo (including tug-of-war and musical chairs), provision of iftar dinners and food aid during Ramadan, and Eid gatherings with the handing out of presents for children. These forms of outreach are hardly removed from JN’s tactics. Only by appreciating that Al Qaeda fighters in Syria have been adapting and learning from their predecessors can one hope to devise strategies of countering their influence, such as encouraging more moderate factions to try to counter widespread perceptions of corruption and criminality. For now, besides provision of aid, the most viable form of outside intervention remains some kind of no-fly zone in the hope of reducing the civilian death toll and reducing the Assad’s air power advantage. Momentous developments across Arab North and East Africa suggest the long-drawn-out process of political transition in the region as well as the greater Middle East is still in its infancy. So does popular discontent in Syria despite eight years of devastating civil war and Egypt notwithstanding a 2013 military coup that rolled back the advances of protests in 2011 that toppled Hosni Mubarak and brought one of the country’s most repressive regimes to power. What developments across northern Africa and the Middle East demonstrate is that the drivers of the 2011 popular revolts that swept the region and forced the leaders of Egypt, Tunisia, Libya and Yemen to resign not only still exist but constitute black swans that can upset the apple cart at any moment. The developments also suggest that the regional struggle between forces of change and ancien regimes and militaries backed by the United Arab Emirates and Saudi Arabia is far from decided. 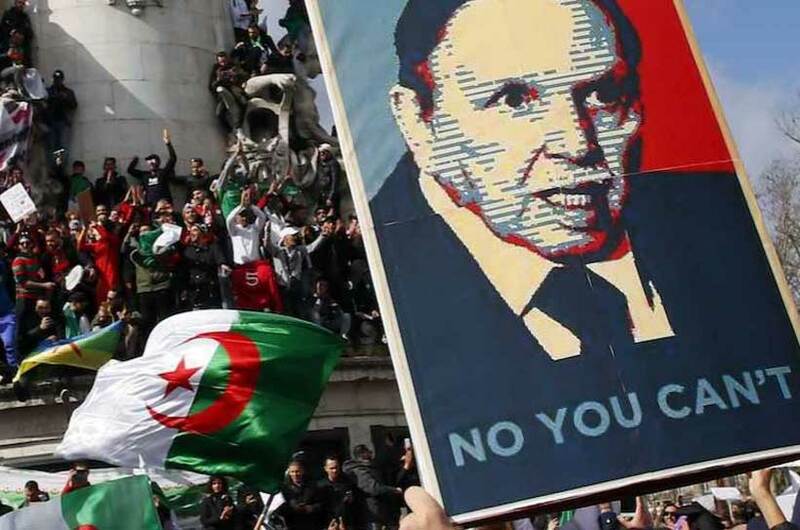 If anything, protesters in Algeria and Sudan have learnt at least one lesson from the failed 2011 results: don’t trust militaries even if they seemingly align themselves with demonstrators and don’t surrender the street until protesters’ demands have been fully met. Distrust of the military has prompted an increasing number of Sudanese protesters to question whether chanting “the people and the army are one” is still appropriate. Slogans such as “freedom, freedom” and “revolution, revolution” alongside calls on the military to protect the protesters have become more frequent. The protests in Algeria and Sudan have entered a critical phase in which protesters and militaries worried that they could be held accountable for decades of economic mismanagement, corruption and repression are tapping in the dark. With protesters emboldened by their initial successes in forcing leaders to resign, both the demonstrators and the militaries, including officers with close ties to Saudi Arabia and the UAE, are internally divided about how to proceed. 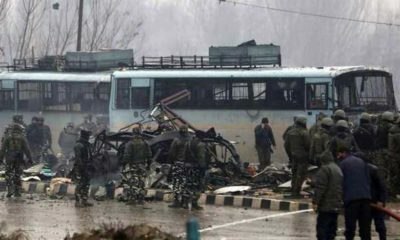 Moreover, neither side has any real experience in managing the crossroads at which they find themselves while it is dawning on the militaries that their tired playbooks are not producing results. In a telling sign, Sudan’s interim leader Abdel Fattah Abdelrahman Burhan praised his country’s “special relationship” with Saudi Arabia and the UAE as he met this week with a Saudi-Emirati delegation at the military compound in Khartoum, a focal point of the protests. Saudi Arabia has expressed support for the protests in what many suspect is part of an effort to ensure that Sudan does not become a symbol of the power of popular sovereignty and its ability to defeat autocracy. The ultimate outcome of the dramatic developments in Algeria and Sudan and how the parties manoeuvre is likely to have far-reaching consequences in a region pockmarked by powder kegs ready to explode. Mounting anger as fuel shortages caused by Western sanctions against Syria and Iran bring life to a halt in major Syrian cities have sparked rare and widespread public criticism of president Bashar al-Assad’s government. The anger is fuelled by reports that government officials cut in line at petrol stations to fill up their tanks and buy rationed cooking gas and take more than is allowed. Syria is Here, an anonymous Facebook page that reports on economics in government-controlled areas took officials to task after state-run television showed oil minister Suleiman al-Abbas touring petrol stations that showed no signs of shortage. “Is it so difficult to be transparent and forward? Would that undermine anyone’s prestige? We are a country facing sanctions and boycotted. The public knows and is aware,” the Facebook page charged. Similarly, authorities in Egypt, despite blocking its website, have been unable to stop an online petition against proposed constitutional amendments that could extend the rule of President Abdel Fattah el-Sisi until 2034 from attracting more than 320,000 signatures as of this writing. The petition, entitled Batel or Void, is, according to Netblocks, a group that maps web freedom, one of an estimated 34,000 websites blocked by Egyptian internet service providers in a bid to stymie opposition to the amendments. Mr. El-Sisi is a reminder of how far Arab militaries and their Gulf backers are potentially willing to go in defense of their vested interests and willingness to oppose popular sovereignty. 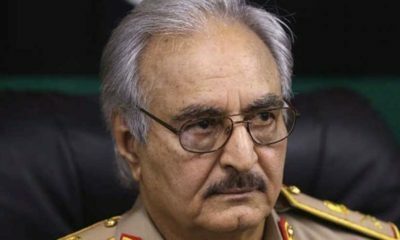 Libyan renegade Field Marshall Khalifa Belqasim Haftar is another, Mr. Haftar’s Libyan National Army (LNA) is attacking the capital Tripoli, the seat of the United Nations recognized Libyan government that he and his Emirati, Saudi, and Egyptian backers accuse of being dominated by Islamist terrorists. The three Arab states’ military and financial support of Mr. Haftar is but the tip of the iceberg. Mr. Haftar has modelled his control of much of Libya on Mr. El-Sisi’s example of a military that not only dominates politics but also the economy. As a result, the LNA is engaged in businesses ranging from waste management, metal scrap and waste export, and agricultural mega projects to the registration of migrant labour workers and control of ports, airports and other infrastructure. The LNA is also eyeing a role in the reconstruction of Benghazi and other war-devastated or underdeveloped regions. What for now makes 2019 different from 2011 is that both sides of the divide realize that success depends on commitment to be in it for the long haul. Protesters, moreover, understand that trust in military assertions of support for the people can be self-defeating. They further grasp that they are up against a regional counterrevolution that has no scruples. All of that gives today’s protesters a leg up on their 2011 counterparts. The jury is out on whether that will prove sufficient to succeed where protesters eight years ago failed. 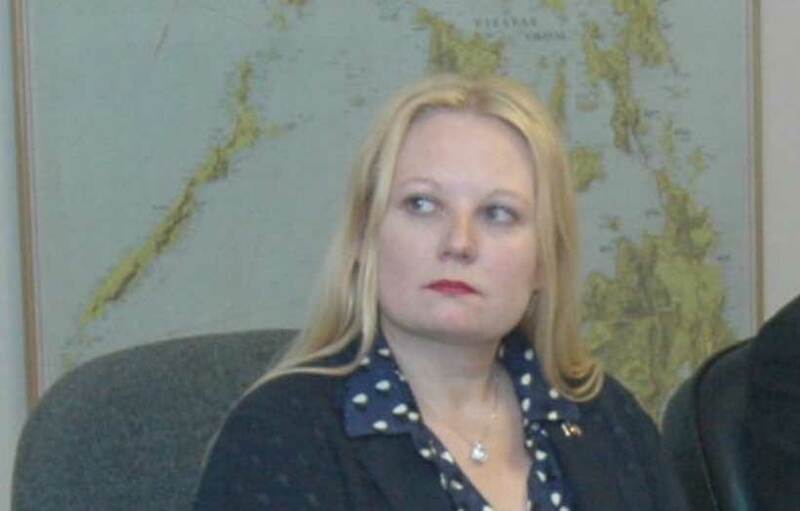 IF THERE IS one thing to glean from the case of Marsha Lazareva, it’s that foreign businesses must now think very carefully before investing in Kuwait. For more than a year, Lazareva, who has a five-year-old son and is one of Russia’s most successful female investors in the Gulf, has been held in the Soulabaiya prison by Kuwaiti authorities. Those authorities claim she ‘stole’ half a billion dollars, a claim she strenuously denies. Serious questions surrounding the safety and future viability of investing in Kuwait are now being raised. Through The Port Fund, a private investment company managed by KGL Investment, Lazareva has contributed hundreds of millions of dollars to local infrastructure and economic development projects during her time in the country. 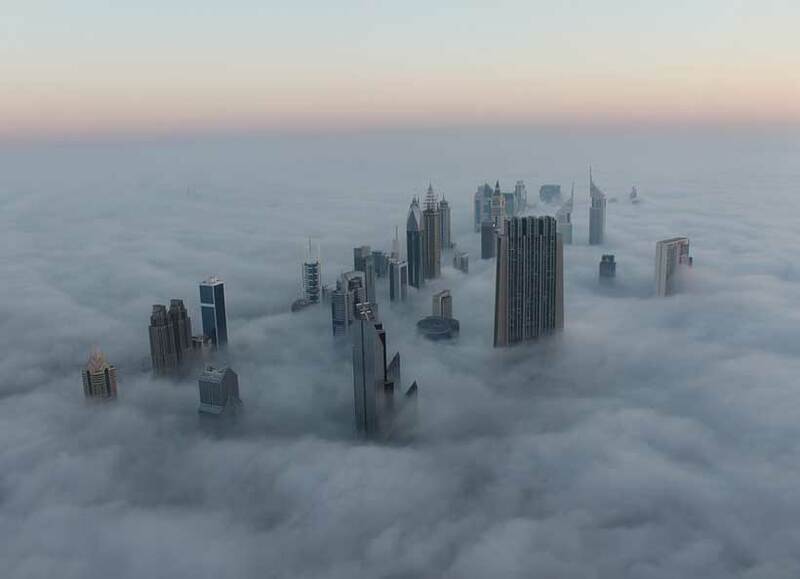 Until 2017, when a Dubai bank froze $496 million without cause, she had worked largely unobstructed. But as things stand, more foreign investment is unlikely to be forthcoming. Jim Nicholson has said that the ‘imprisonment and harassment’ of Lazareva ‘threatens’ U.S. support. adding that the ‘willingness of the U.S. to do business with Kuwait’ is based on ‘its record as a nation that respects human rights and the rule of law’. Mark Williams, the investment director of The Port Fund and a colleague of Lazareva’s, has called on international investors to ‘think twice before doing business in this country’. These comments will surely concern the Kuwaiti government, who said last year that FDI was ‘very crucial’ to the success of its Kuwait Vision 2035 road map. In September 2018, the FTreported that the government planned to reverse its traditional position as an investor in order to diversify its economy, carrying out a series of reforms designed to facilitate foreign investment and assist investors. What’s worth remembering is that Kuwait is an important, long-standing ally of the UK, and a country generally seen as stable and fair. It is equally a major non-NATO ally of the United States, where there are more than 5,000 international students of Kuwaiti origin in higher education. But these relationships, and the investment to which they have historically led, have been cast into doubt. And it now seems certain that relations will continue to sour so long as Marsha Lazareva languishes in Soulabaiya. For Gulf leaders, long-overdue economic reforms were never going to be easy. Leaders like the crown princes of Saudi Arabia and the United Arab Emirates, Mohammed bin Salman and Mohammed bin Zayed, quickly discovered that copying China’s model of economic growth while tightening political control was easier said than done. They realised that rewriting social contracts funded by oil wealth was more difficult because Gulf Arabs had far more to lose than the average Chinese. The Gulf states’ social contracts had worked in ways China’s welfare programmes had not. The Gulf’s rentier state’s bargain—surrender of political and social rights for cradle-to-grave welfare—had produced a win-win situation for the longest time. Moreover, Gulf leaders, struggling with mounting criticism of the Saudi-UAE-led war in Yemen and the fall-out of the killing of journalist Jamal Khashoggi, also lacked the political and economic clout that allowed China to largely silence or marginalise critics of its crackdown on Turkic Muslims in the troubled northwestern province of Xinjiang. The absence of a welfare-based social contract in China allowed the government to power economic growth, lift millions out of poverty, and provide public goods without forcing ordinary citizens to suffer pain. As a result, China was able to push through with economic reforms without having to worry that reduced welfare benefits would spark a public backlash and potentially threaten the regime. Three years into Mohammed bin Salman’s Vision 2030 blueprint for diversification of the economy, Saudi businesses and consumers complain that they are feeling the pinch of utility price hikes and a recently introduced five per cent value-added tax with little confidence that the government will stay the course to ensure promised long-term benefit. The government’s commitment to cutting costs has been further called into question by annual handouts worth billions of dollars since the announcement of the reforms and rewriting of the social contract to cushion the impact of rising costs and quash criticism. In contrast to China, investment in the Gulf, whether it is domestic or foreign, comes from financial, technology and other services sector, the arms industry or governments. It is focused on services, infrastructure or enhancing the state’s capacities rather than on manufacturing, industrial development and the nurturing of private sector. With the exception of national oil companies, some state-run airlines and petrochemical companies, the bulk of Gulf investment is portfolios managed by sovereign wealth funds, trophies or investment designed to enhance a country’s prestige and soft power. By contrast, Asian economies such as China and India have used investment fight poverty, foster a substantial middle class, and create an industrial base. To be sure, with small populations, Gulf states are more likely to ensure sustainability in services and oil and gas derivatives rather than in manufacturing and industry. China’s $1 trillion Belt and Road initiative may be the Asian exception that would come closest to some of the Gulf’s soft-power investments. Yet, the BRI, designed to alleviate domestic overcapacity by state-owned firms that are not beholden to shareholders’ short-term demands and/or geo-political gain, contributes to China’s domestic growth. Asian nations have been able to manage investors’ expectations in an environment of relative political stability. By contrast, Saudi Arabia damaged confidence in its ability to diversify its oil-based economy when after repeated delays it suspended plans to list five per cent of its national oil company, Saudi Arabian Oil Company, or Aramco, in what would have been the world’s largest initial public offering. To be sure, China is no less autocratic than the Gulf states, while Hindu nationalism in India fits a global trend towards civilisationalism, populism and illiberal democracy. What differentiates much of Asia from the Gulf and accounts for its economic success are policies that ensure a relatively stable environment. These policies are focused on social and economic enhancement rather than primarily on regime survival. That may be Asia’s lesson for Gulf rulers.